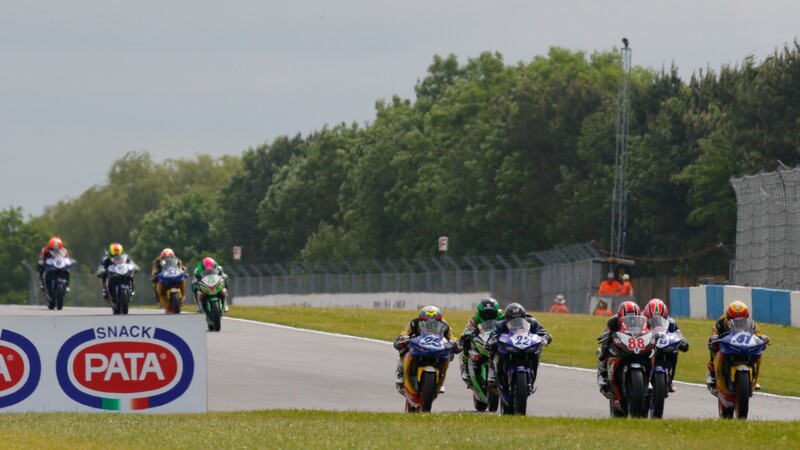 As the inaugural WorldSSP300 championship continued to gather pace at the UK PATA Round a superb race on Sunday saw the podium positions decided on the last corner as Alfonso Coppola (SK Racing), Mika Perez (WILSport Racedays) and Marc Garcia (Halcourier Racing) pushed to the limits at the end of a 13-lap contest. For Coppola it was a fine weekend as he looked sharp from the word go in free practice, got his first pole position and then consolidated his second place in the general standings with his first victory of the season. It was also a third consecutive podium for the Yamaha YZF-R3 equipped Italian and he is now the form rider in this popular new category. Spaniard Perez also had a strong race and he was pleased with his second place finish even if he missed out on victory by just 0.174s on his Honda CBR500R. Perez now sits fourth in the standings courtesy of his second podium result of the season and his best race finish to date. Perez was joined on the podium by his compatriot Garcia who also crossed the line less than a quarter of a second behind Coppola on the same Yamaha YZF-R3 machinery as ridden by the Donington race winner. 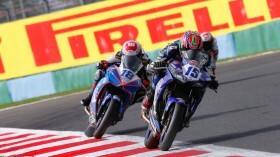 After four races Imola-winner Garcia is third in the standings and is hungry for more victories. After starting the season with a blast with wins at Aragon and his home round Assen, Scott Deroue (MTM HS Kawasaki) is still leading the championship despite not being on the podium in either of the last two races. 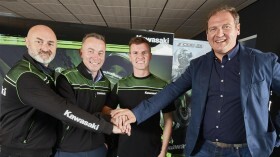 He was down in 11th at Imola but was back up to fourth place at Donington, charging through from eighth on the grid on his Kawasaki Ninja 300 to finish nine seconds off the podium. The Donington top five was rounded out by another rider on the Yamaha YZF-R3, Armando Pontone (IODARacing). The Italian crossed the line a quarter of a second behind Deroue for his best result of the season so far. 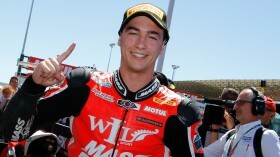 Thrilled Gonzalez reflects on "difficult" Assen triumph!